There’s one thing for certain about iOS 4 that I’ve seen over and over again is the confusion over what devices are eligible and what features will those devices get. So, here’s a little breakdown to help bring reason to the madness that I created to help determine if your 3rd generation iPod Touch will get multitasking (it doesn’t), or if your iPhone 3G is eligible for homescreen wallpapers (it’s not). The basic crux of iOS 4 is that it is targeted at the latest iPhone and iPod Touches, anything that is not current may receive the update but those devices will lack features. The “current” devices are the iPhone 3GS and the new iPhone 4 along with the 3rd generation iPod Touch (16gb and 32gb versions). Anything else will get some subset of features of iOS excluding the original iPhone (iPhone 2G) and the original iPod Touch which are not eligible for the new OS on any level. Here’s a few more tasty treats for all you newly upgraded iOS 4 users. Playlists can now be created on your mobile device and synced back to your computer. If you’re like me and likely spend more time with your iPhone than you do at a computer then this feature may be of use to you. 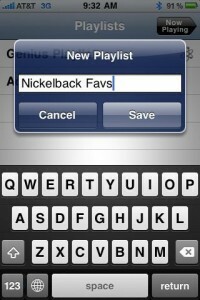 Creating playlists on your iPhone (or iPod) is pretty easy. 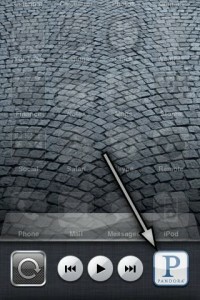 Simply touch the playlist button while in iPod function and the touch add playlist. Give your playlist a name then you will be able to add songs to it. Adding songs is done by selecting on individual songs or by changing the view to artists and adding groups of songs. Very easy, very handy. Emailing photos has been something we’ve all done from our iPhones and now the email app will ask to resize your photo before it sends it. So, to see this one in action, or to resize your pic for emailing it, simply go through the normal steps of emailing a photo. That is, go to the photos app, select a photo, touch the arrow then select email photo. Now that you’re in the email app add your recipient address, enter some text it you’d like and the touch send. At this point you will get a prompt to resize your photo (took us a few tries to figure out where this was too). Something else we noticed is that if you ignore the resize prompt and close out of email or lock your phone that the photo will still be sent. Kinda cool. Lastly, for this post at least, we have a new search option for safari: Bing. To enable Bing and all that it brings go to settings then to safari then search engine and select Bing. I’m not really sure if there is any advantage to using Bing over Google but it’s there nonetheless for those that want to try it. How long have you been waiting for iPhone tethering? well, if you’re like me you’ve been waiting a long time. 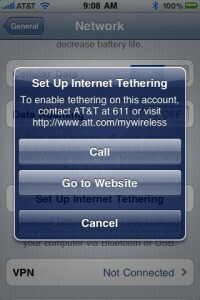 To be clear, iPhone tethering was possible (and an included feature) in iPhone OS 3.0 which launched last June (2009). So, don’t confuse this new feature as part of iOS 4, although I am including it in my iOS 4 Tour roundup because it is only now that AT&T has decided to enable the feature. That’s right, carriers the world over have been allowing their iPhone customers to tether their devices for the past year. Unlike most gamers I don’t get into the whole social aspect of gaming so when Apple introduced this new addition in iOS 4 I wasn’t all that excited. 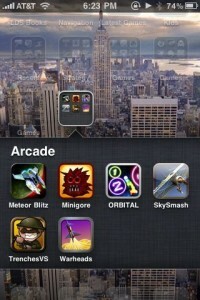 Game Center is one of the unexpected new features of iOS 4 and is Apple’s entry into the social gaming scene. Game Center will allow gamers to share scores, unlock achievements, network with friends and invite friends to games. To use Game Center you will sign into the service using your iTunes account login. From here you can search and find friends and invite others to play against you (amongst other things). Seems a little odd to me that Apple would enter this scene and I’m sure all of those mobile social startups are not happy about it either. We’ll have to wait and see the effect that Apple’s own Game Center will have on other social gaming platforms such as Open Feint, Crystal, Plus+ and others. Unfortunately I haven’t been able to find any games that leverage the new Game Center so screen shots of this are well, pretty boring. If you’re like me and use your iDevice all day for many tasks like email, then you’re probably sick and tired of traversing up and down the email tree. Under any previous iOS version (iPhone OS 3.1.3, for example) if you were reading an email and wanted to read email from another account it was: tap to inbox, tap to account, tap to all accounts, then tap again on account, tap again to inbox and tap again to the email. That’s a lot of tapping, or at least it was. 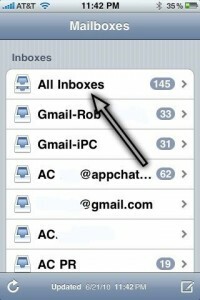 In iOS 4 we now have two ease-of-use enhancements to the email app, and they are welcome enhancements indeed! The first of these is the unified inbox. Simply put, this inbox is all of your inboxes in one, regardless of how many accounts you have (and I have several). Emails are ordered by their timestamp of when they were received so seeing all of your email at once is what this is all about. Need to read/reply on a different account? no problem as it’s just at most two taps away. The only downside here is that I wish they were somehow labeled as to which account they belong to in the unified view. Right now, you get the standard from, subject line and a few words from the body. If you know your people that email you then this probably isn’t a problem for you, however if you receive a lot of email then this may be an issue (albeit minor). The only downside that I see with the new email app on the iPhone is that they have moved folder access (trash, spam, tags, folders, etc) to a new section for which you do need to traverse to. On the main email accounts list you would scroll to the bottom of that page to get the “accounts” section. Traversing these trees works similarly to how email used to work and is the only way to get to other email folders that you may have setup. Lastly (for email), we have threaded email conversations in the mail app (a la gmail). This new view into your email significantly enhances your ability to keep track of email conversations and to review your email history on a particular subject. Again, not earth shattering but a nice added feature nonetheless. So what is fast app switching? It’s actually, supposedly, just as it sounds: the ability to switch from one app to another quickly – fastly! How do you do this you say? you bring up the task manager, of course! (oh, if Mr. Jobs ever read that he’d be upset, I’m sure!). 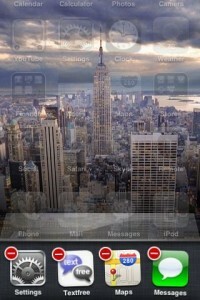 Fast app switching, like any other multitasking feature introduced with iOS 4, requires that the app developer implement the functions into their application. In essence, it allows the OS to better handle an applications state so that when it is paused (home button, incoming call, etc), the OS can bounce back to it quickly and the app doesn’t have to load from scratch again. At least, that’s the general idea. Today we are seeing a few apps that are now adding this feature available as an update in the iTunes App Store. Check your updates, you may already have some of these! The other feature of the new iOS that I am teasing about is the task manager. In reality, this is the “fast app switcher” for the user. It’s how you bounce quickly between already “running” (or previously started) apps. To get there, double tap the home button. You will now see 4 app icons appear at the bottom of the screen. These are the four most recently used apps. To bring one back up just touch the icon. Now, I call this the task manager (as do many others) because you can also “kill” running apps by the touch-and-hold action then touch the “X” to kill it. Now, I know by Jobs’ keynote that this isn’t a task manager, but it serves the same function and besides, I like to poke fun occasionally at the Apple!…. 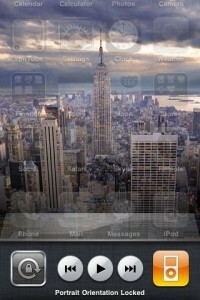 There’s two more features on the not-the-task-manager screen worth mentioning: iPod functions and rotation lock. If you double click the home button and bring up the app switcher, just swipe to the left to reveal these easy-access functions. If you read my earlier post on Multitasking with Pandora you would know that if you are using Pandora (or other music streaming service that has implemented the multitasking APIs) that these controls would function on the Pandora app the same as they would with the iPod app and the iPod icon would be replaced with the Pandora one. Lastly, on this screen is the – also much desired – screen rotation lock enable/disable icon. Touch this and the screen will no longer auto rotate while in any app (touch again to disable). One thing about running AppChatter is that I tend to install a lot of apps. Organizing these apps on the old, flat view was painful to put it mildly. So, if you had 148 apps installed (and thus filled all of your app screens) relief has come today with the new iOS 4 update available now in iTunes. I’ve actually been using this feature for a few weeks now (being a paid Apple developer has some minor perks) and I spent a good hour or so with my iPhone just organizing all of these apps into folders. Holy, what a pain! However, now that I’m done it is much nicer, although I’d say there’s still some room for improvement :O.
There’s really two ways to create folders on your device and to start organizing apps, the first is through the device itself and the second is using iTunes and then syncing or organized madness to the device. 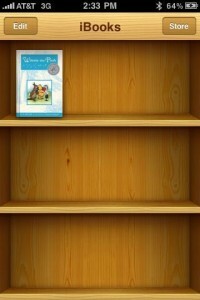 I chose the former since many of my apps are not even on the computer yet (installed directly to my iPhone). So, I sat down in front of the TV a while back and set out to do some major app-organizing-surgery with this newly added feature. After about an hour (or so) of dragging apps around I felt as though I was getting close, but it still needs improvement (my approach to organization, that is). To create a folder is easy, simply touch and hold an app icon and once they start jiggling you simply drag one icon onto another. 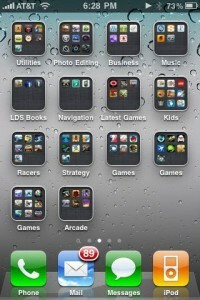 As you do this, the icon will get swallowed by the first icon and then morph into a folder. Apple, er the OS, will attempt to assign the folder a name that it feels make sense or you can give the folder a different name. Once the folder is created (icons still jiggly), just touch anywhere to return to the homescreen and drag some more apps to the folder. Repeat as many times as you need to in order to organize your app madness. Up next: Homescreen wallpaper – yay!! 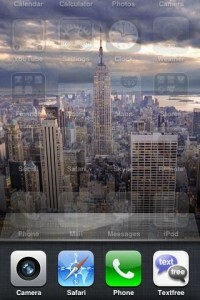 Yes, on iOS 4 you can now set a homescreen wallpaper. I’m talking about changing the background behind the app icons from black (what it’s been for 3 years unless you jailbreak) to someting snazzy and cool. Unfortunately, this is only available on the latest devices, though I’m not exactly sure why since it seems pretty rudimentary. To set a new homescreen wallpaper simply launch the settings app, touch wallpaper and you will then see which image is set for either the lock screen or the homescreen. Touching either of these puts you into pic-select mode where you can set any pic or supplied wallpaper to either of the screens. It’s that easy, and it’s pretty cool. So, you’ve got iOS 4 installed, now what? 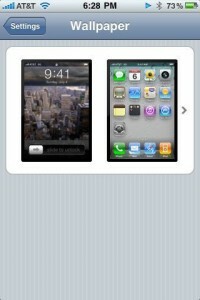 Well, one of the most anticipated features to land with the new iOS 4 is its ability to multitask. Most apps in the app store do not yet support this feature, since app developers must explicitly code to the APIs that permit its function, however one app released today is one that we’ve been waiting to see it run in the background for some time now: Pandora. So if you haven’t yet, go get the Pandora update and follow along as we look at this new awesomeness!! Not long after iOS 4 hit iTunes Apple started releasing iOS 4 capable apps. Pandora Internet Radio is one of them and having it run in the background brings a whole new dimension to using Pandora on the iPhone. In fact, the whole device and experience is more enjoyable rather than the constant frustration it used to be without this function. Gone are the days of pausing music when wanting to check email, browse the web, or whatever. In fact, the process works so well with Pandora that you would swear it was the built-in iPod function that you were listening to and not a third party app – and here’s where things get interesting. The backgrounding of Pandora enables the application to mimic, in nearly every conceivable way, how the iPod functions work. Pandora takes over the tiny “play” icon in the information bar, replaces the iPod icon on the task bar and if you double click the home button while locked – the iPod controls actually pause/play Pandora – a very nice surprise indeed! So in essence, if you have Pandora installed, you have seemless, iPod-esque control and integration to a constant and endless stream of music. The one lacking integration of running Pandora in the background that I noticed was when I took a phone call: the app failed to resume playing music however, to get it to play again only took a quick double-tap of the home button and a touch of the play icon. Now, where’s that Skype update that Steve teased us with in the iPhone OS 4 preview keynote address?